This can be served hot or at room temperature. It is even good cold drizzled with a bit of balsamic syrup. Feel free to embellish the tian with some grated cheese like Parmesan or Gruyere. Just a light sprinkle though because the vegetables should be the superstars here. 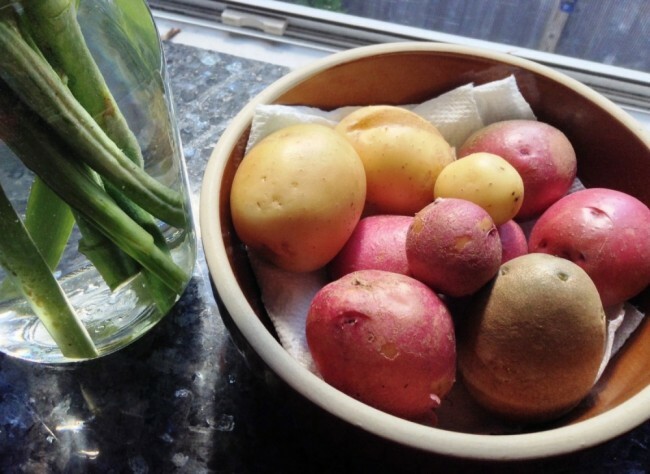 Various potatoes from the garden plot (reds, Yukons and maybe a russet). Pre-heat the oven to 375 degrees F. Spray a 9x13-inch baking pan with cooking spray. In a small bowl, toss the garlic and basil together and sprinkle it into the prepared baking pan. Set the baking pan aside. 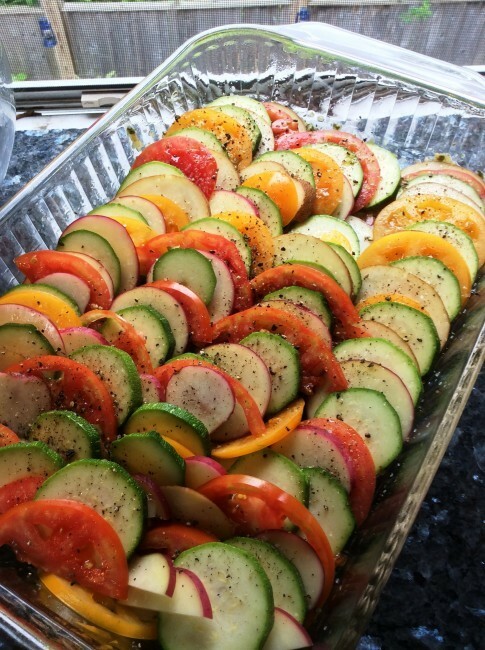 Cut the zucchini, potatoes and tomatoes into 1/-8-inch thick slices. This is a great job for a mandoline or a great time to sharpen your knife and practice your knife skills. 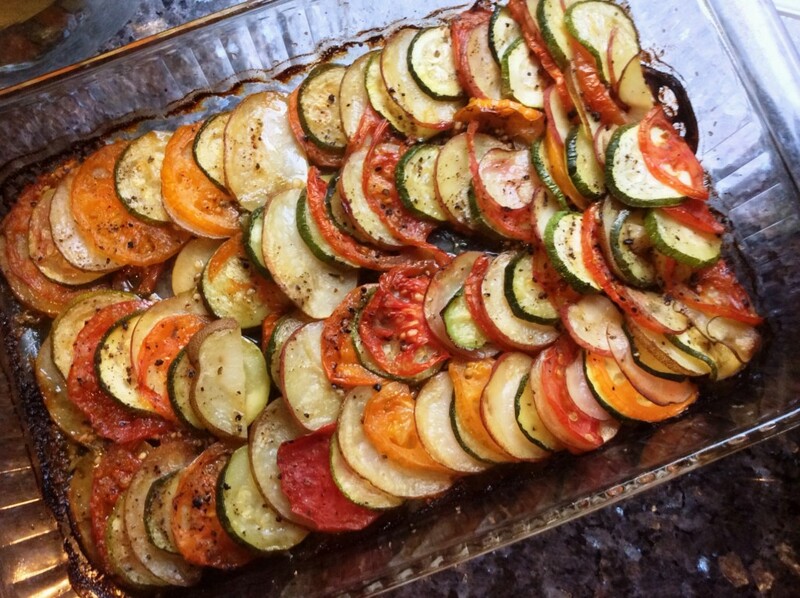 Layer the sliced vegetables into the pan into an even layer. If you have any extra slices of vegetables left, just wedge them into the layers. Sprinkle the salt, pepper and oil over the casserole. Cover the pan with foil and bake for 40 minutes, the potatoes should be tender. Bake an additional 30 minutes until slightly golden.